With a new process during chromatising the surface finish is completely connected with the brass body, hence ensuring permanent intense colours and peeling of the chrome layer. 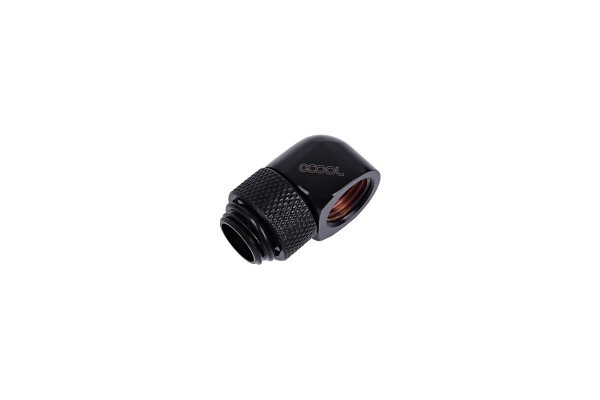 The Alphacool name on the fittings additionally underlines the individuality of these items. Can I use these L-connector with hardtube, in example using here the connectors Alphacool Eiszapfen 16mm HardTube compression fitting G1/4 for plexi- brass tubes (rigid or hard tubes) - knurled - deep black?